"Test your skills in confined areas while fighting gravity (and walls) or brave the asteroid fields in zero gravity and experience firsthand the weirdness of the friction-less void." Hard Lander is a really cool new co-op game by one of my Portland developer friends, Nic Blondi. I have played a few versions of Hard Lander as it has made its way through development and I am pretty excited to see it launch on Ouya. Hard Lander is a blast to play with other people and one time while playing it with Justin Baldwin(Monsters Ate My Birthday Cake) I got pretty good at ramming into him such that he would lose the match. And really, that's a ton of the appeal of Hard Lander,... Read All "Test your skills in confined areas while fighting gravity (and walls) or brave the asteroid fields in zero gravity and experience firsthand the weirdness of the friction-less void." Hard Lander is a really cool new co-op game by one of my Portland developer friends, Nic Blondi. I have played a few versions of Hard Lander as it has made its way through development and I am pretty excited to see it launch on Ouya. Hard Lander is a blast to play with other people and one time while playing it with Justin Baldwin(Monsters Ate My Birthday Cake) I got pretty good at ramming into him such that he would lose the match. And really, that's a ton of the appeal of Hard Lander, it's a really cool game to try anything with and watch your ship fly apart. Because, really, blowing up a rocket ship should be fun. After I heard about Hard Lander's Ouya debut I sent some questions over to Nic and he got back to me. I wish him well with the Ouya launch and hope people find it as fun as I have. jdodson: Hey Nic, I am curious what the tech you used to build Hard Lander is? Nic Blondi: I used the Unity engine in the development of Hard lander. I used the "2d toolkit" plugin to help with Sprites and the Ouya ODK plugin which allows Unity to build for the OUYA. Getting the controllers took quite a lot of time. The guy that made the game Clark (http://goldentricycle.com/) released some code that helped with this quite a bit by releasing some code to help the rest of the community out. jdodson: Will Hard Lander be coming out on any other platforms other than the Ouya? This looks perfect for couch co-op on a Steam Machine. Nic Blondi: My plan is to keep updating the game on OUYA to get feedback and add more content for a month or so. I think my next port will be for Fire TV since I hear it's a fairly simple port for an OUYA game. After that I want to build for steam. I really love the idea of the Steam machine. When I have friends over I often find myself awkwardly hooking my laptop up to my TV. I want to port to Steam if for the only reason that it would give me a good excuse to get myself a steam machine. Do you have any suggestions for a good, cheap option? jdodson: Right now my suggestion is to hold out for the Alienware Steam Machine but it seems to be coming out later this year and will most likely ship for $500. That's not cheap but there will be others that might go lower in price, I am not entirely certain though. That said, I am 99% sure I will get the Alienware box when it ships. jdodson: I've played Hard Lander and it lives up to it's name well. Curious though, if you were going to design "Easy Lander" how would it be different? Nic Blondi: The difficulty if flying the landers is, for me, what makes the game fun to play even after hundreds of hours spent "testing" it. If I was going to make flying easier I think I would have to add other elements to the game to compensate for the joy of mastery with something like weapons, items, alternate goals etc. Maybe giving ships custom load-outs would be fun. Allowing players to amass money which they could spend on shields, weapons, devensive drones, and autoturrets would be fun to try. jdodson: Which Star Wars prequel episode do you consider the best film? Nic Blondi: I've never been a star wars buff. The old ones make me feel like I'm watching the cosby show in space.. too dated to draw me in. And the prequels were all pretty confusing. But If pressed I will say Episode 1 was the best because the amount of feathers ruffled by Jar Jar Binks continues to this day. I expect it to be the most enduring as a result. jdodson: After Hard Lander is ported everywhere you care to and updated what are your plans for next? A tactical arcade shooter featuring robocop and his domestic problems. A 3rd person 3d roguelike where the maincharacter is a golum who pulls pieces of his body of to spawn new tools and upgrades. an isometric action puzzle game where you control an ice-cube lost from his iceburg. An earth defense game where you manually pilot a space ship into orbit to release satellites which interface with special towers that you build to gain money, fire rockets, and otherwise defend the planet from asteroids and invading aliens. A submarine multiplayer game where you control the force and direction of two propellers on either side of your ship which allow you to move in very controlled manner and shoot your opponents. Kind of like the spiritual successor to hard lander. Another one I want to prototype but I haven't is a unicycle game where you control the speed and direction of your pedals and the weight of your rider. Basically a unicycle sym :D.
You can play Hard Lander right now on the Ouya. 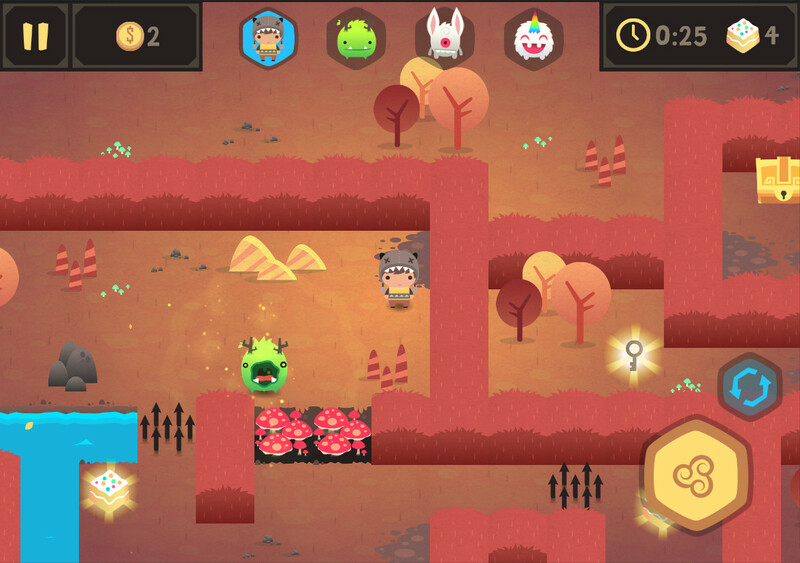 Crawl is a top down chunky pixel hack-n-slash co-op rogue-like. You take your turn playing as the bad guys and when you turn comes, you can play as the lone hero. After contacting Powerhoof games I was able to land a press copy and brought it to a PIGSquad meet up and played it with a few people. I had a great time and after emailing Dave and Barney at Powerhoof they were kind enough to agree to do an interview. I wish them well to a speedy launch and hope you you create a special place in your heart for playing as evil incarnate in Crawl when it launches. jdodson: Couch co-op seems to be making a comeback in the Indie scene. Some of my best memories in gaming are of a... Read All Crawl is a top down chunky pixel hack-n-slash co-op rogue-like. You take your turn playing as the bad guys and when you turn comes, you can play as the lone hero. After contacting Powerhoof games I was able to land a press copy and brought it to a PIGSquad meet up and played it with a few people. I had a great time and after emailing Dave and Barney at Powerhoof they were kind enough to agree to do an interview. I wish them well to a speedy launch and hope you you create a special place in your heart for playing as evil incarnate in Crawl when it launches. jdodson: Couch co-op seems to be making a comeback in the Indie scene. Some of my best memories in gaming are of a bunch of my friends huddling around my TV playing Mario Kart and Goldeneye. I am curious what couch co-op games you love and if any of those experiences influenced the design of Crawl? Dave: I only had a PC when I was growing up, so my childhood memories are mostly of being huddled around a keyboard playing stuff like the Simpsons Arcade game or Liero. A lot of games weren’t even multiplayer, but we’d come to some sort of “I’ll drive, you shoot” arrangement, or just debate strategy and what to name cities in a shared game of Civilization. Barney: Haha I did that “I’ll drive, you shoot” thing a lot too- I remember shooting in Captain Comic just involved pressing the spacebar as fast as possible the whole time! We still had a ball so that’s a pretty good indicator local multiplayer was bringing a lot to the table. Dave: More recently we’ve really liked playing Castle Crashers together, which is definitely an influence along with the asymmetrical nature of games like Left 4 Dead which Barney and I played every lunchtime for ages. There was definitely a dry patch for local multiplayer where there really wasn’t a huge amount out there and we’d fallback on old Mega-Drive and N64 games. That was when we decided to try making a bunch of local multi games in a little game-jam then get together to play them all, which is where Barney came up with the format for Crawl. jdodson: Crawl on Steam Machines seems like a totally awesome fit. Are you considering releasing the game on any other platforms that are “native living room” devices like the Ouya, Fire TV, Playstation or XBox? Dave: Crawl makes so much sense on consoles, so we’re definitely keen to release on anything we can in the living room. At the moment we’ve got plenty on our plates with early access for PC, Mac and Linux, it’ll be a while before we look at other platforms. jdodson: If you had to release Crawl on a planet dominated by Apes, I am curious what changes you would make the game to easier for them to play? Dave: We wanted Crawl to be a game where you could pass a controller to someone at a party and they’d be able to get into it without being an avid gamer. So the controls are really simple, just two buttons, and the depth comes from learning the characters and their special abilities and knowing when to use them. Barney: I’m pretty sure if they can dominate the planet they can play Crawl- it’s pretty accessible :) I might slide a few banana puns in there but you can’t go crazy with that stuff- apes don’t want to be talked down to. I’m assuming this scenario involves us developing from a cage while the apes throw in scraps of food and we poop in a bucket… I think I’d be more focused on making sure Dave got the side of the cage with the bucket. jdodson: What other games have you been playing when you’re not working on Crawl? Dave: Neither of us have been playing any big blockbuster games recently, although we’re both eager to find the time to play Dark Souls 2. I’ve been playing tonnes of indie games recently, especially rogue-like-likes (or procedural death labyrinths, or whatever we’re calling them now). Nuclear throne, FTL, Desktop dungeons, Teleglitch, Binding of Isaac... I find I can come back to any of them after not playing for a while and they still feel fresh. I keep blowing my self-inflicted games budget backing things on kickstarter, so I feel like I’ve got a lot of great stuff coming. jdodson: I’ve really enjoyed the press copy of the game. One thing I noticed is that it seems like the game is very punishing the single player character at times, which is fairly on par for a rogue-like. Are there any balancing changes coming that might give the main character some love? Barney: Yep, we have a lot of tweaking to do! Balance really is the hardest part of development on Crawl- to make sure it isn’t frustrating for the hero or the monsters. There are a lot of possible ways to even the playing field a little- I’m eager to try the hero collecting autonomous helper items which float around him and attack/defend, to make the monsters have to be more cautious about approaching and stop him being swamped. I’d love to try out fodder pet-type creatures as hero followers too, not to mention all the delicate health/stat tweaks that can make all the difference. There are so many possibilities, Steam Early Access should be super fun- putting in new items and ideas and seeing how people take to them and how they alter the balance will be awesome. jdodson: What are you guys working with the game right now? Any aspect of development proving to be a bit trickier than you anticipated? Dave: I’m working on getting some bot AI to play against when you don’t have a full compliment of friends. That’s been quite interesting. Doing AI that’s supposed to seem human is very different than normal AI you do for monsters in games. Instead of trying to make them look intelligent themselves, you need them to look like they’re controlled by someone intelligent. Instead of balancing their difficulty by making them run slower or do less damage, you need to give them the same flaws a human player would have. So I have to program in human traits like poor reaction times, not having perfect judgment, and being inaccurate with their controls. Barney: I’m doing some boring stuff at the moment- putting in clear explanations for our mechanics- clear HUD feedback, tutorial text, etc, but I’ve also got some awesome stuff in the works… I’ve revamped some less-fun monsters and now they’re totally awesome :) I’ve been working on magic weapons, tweaking the spells so the non-dodge ones are equally fun and viable to use. jdodson: After the trailer for Crawl launched and the Interwebs seemed to explode with excitement(I know I did). The voice acting, art, music and pacing worked really well together. How did that all come together and how long were you all working on it before you dropped it on the world? Also wondering if the voice actor in the trailer will be doing any work on the final release of Crawl? Barney: The trailer took me about 4 weeks. It was a real balancing act- we wanted to explain the gameplay concept clearly, but we also wanted to set the atmosphere and kind of Lovecraft tone. Those things fight against each other- writing for the tone wants more complex wording, but writing for clear explanation wants extremely straightforward wording, so there was a lot of back-and-forth on how to describe things- in the end having the simple on-screen text explanations allowed us to keep more tone in the narrator but still explain things quite clearly. I spent a lot of time playing against our early bot AI to try and record the footage, and those guys do not cooperate! I’d be just about to capture the shot I wanted, then a bot would kill me or run off and buy a powerup and I’d have to restart! Through most of the time working on the trailer we had our own voices in there as placeholders so I could re-record on the fly when I had a wording or timing change. It wasn’t until right at the end that we did the final recording session with our narrator that we started to get a sense that it all might work out! We definitely intend to use voiceover in the game, and we have some fun ideas for where and how to insert it, but we haven’t prototyped that stuff yet- it all has to wait until the core gameplay is a little more developed. jdodson: Thanks for taking the time to answer my questions! Any final words before we wrap things up? Dave: Just that we’ve been thrilled with the reaction, and that people are excited about the game! We’re really looking forward to getting it in people’s hands and continuing to add cool stuff to it! Monsters Ate My Birthday Cake is the game that got me hooked on Kickstarter. From seeing the first few minutes of the video to looking at the lush game art, I was impressed. After seeing the game first hand at Portland Retro Gaming Expo, I can say that I can't wait to get my hands on the final product. I've been curious about the progress of the game for quite some time so I decided to ship over a few questions to Sleep Ninja Games. Justin Baldwin got back and as a special treat gave us two exclusive screen shots of the game in development. 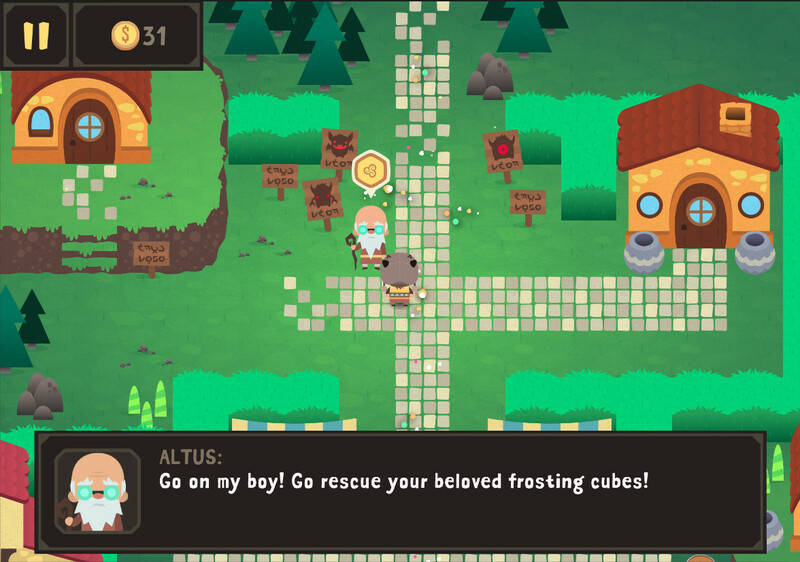 The first shot above is of the Village with the in game character Altus. The other screen grab is of The Apricot Acres and you... Read All Monsters Ate My Birthday Cake is the game that got me hooked on Kickstarter. From seeing the first few minutes of the video to looking at the lush game art, I was impressed. After seeing the game first hand at Portland Retro Gaming Expo, I can say that I can't wait to get my hands on the final product. I've been curious about the progress of the game for quite some time so I decided to ship over a few questions to Sleep Ninja Games. Justin Baldwin got back and as a special treat gave us two exclusive screen shots of the game in development. The first shot above is of the Village with the in game character Altus. The other screen grab is of The Apricot Acres and you can click to view that one below. I think you guys will all agree that the art for this game is pretty incredible and that those frosting cubes need saving! jdodson: Recently you showed off the monster Pizzy. One of her abilities is “Rainbarf” and I am curious if it works just like it looks, which is a concentrated laser beam of Rainbow colored puke? Which if it works like that, will be totally awesome. Justin Baldwin: Yup. That's pretty much it. To quote her bio in the game "She can yack a wicked rainbow beam that activates ancient Energy Gems and detonates Boogins into a shower of psychedelic sparkle dust!" She is very effective in taking out enemies but you also still have to use her wisely. Your other characters can't really go through a blazing beam of rainbow barf either. So if you need her to activate Energy Gems in the game, you also need to consider the positioning and abilities of your other characters in order to solve puzzles correctly. jdodson: When are you expecting Kickstarter backers will be able to start playing the game? With that, do you guys also have a release date for 1.0? Justin Baldwin: We are planning on releasing a desktop backer build with the first zone of the game in March so our backers can get their hands on it. It also will give us a good opportunity to get some feedback from our supporters. The full game release right now is planned for Summer, we have a specific date set, we just aren't able to say yet due to distribution discussions that aren't fully settled yet. We will be able to announce the date soon. jdodson: What are you working on right now? Justin Baldwin: Currently we are finished with most of the core game mechanics and systems the game needs to use. We currently are mostly focused on getting the backer build ready. We are currently doing a lot of level design, bug squishing, adding polish, and adding a few more things that we think might be interesting. Rich Vreeland AKA Disasterpeace (Fez, The Floor Is Jelly) and Jordan Fehr (Super Meat Boy, Hotline Miami) are also doing some awesome work with the music and audio for the game as well. We still have a decent chunk of work ahead of us though for full release, but we finally starting to see a flicker of light at the end of the tunnel. jdodson: I was just thinking this morning about a possible sequel to the game called “Monsters Borrowed My Liar, Liar VHS Tape.” This really isn’t a question. In retrospect the game might also be very short. Justin Baldwin: Haha, we always joked about "Monsters Ate My Taxes" or "Monsters Ate My Toilet Paper". jdodson: Monsters Ate My Birthday Cake ships and people love it. After you bask in the limelight for a bit what are you guys planning on next? Justin Baldwin: We definitely hope people enjoy it. We've put a lot of our blood, sweat, and tears into it. We likely will take a much needed breather like you said, getting some decent sleep for once and spending time with the loved ones we've been having to neglect over this process. But after that, we have two other game ideas in the burner. Both are quite a larger departure from what Monsters is, Monsters is more of a ode to childhood, something I honestly miss sometimes. One is a larger Gibson-esque Sci Fi RPG we've been wanting to do for a while, but it's a larger project. The other, and the game we likely will do next, is smaller in scale but focuses on just pure fun. It's a little to early on for me to share much on specifics but it has a large focus on retro 4-player games where you sat in the same room as your friends at sleepovers and played all night. Games like Super-Bomber Man, Mutant League Hockey / Football, NBA Jam, Wayne Gretzky 64. I feel like there isn't enough out there these days besides VS mode in Spelunky and Towerfall that do this in way that feels this way. It's hard for me not to get excited and just blurt every detail but I don't want to share too much too early. I can say it will be ridiculous, over the top, and layer on a lot of that "We are so edgy it's the 90s" Sega and Super Nintendo cheese I dearly miss from the early 90s. jdodson: Thanks for taking the time to get back to me, anything last thing you want to say as we wrap things up? Justin Baldwin: Thanks man, really we are just excited to get Monsters out there and get the project wrapped up finally. We hope everyone keeps an eye out for it, and gives the game a play after release. After the Starbound beta hit, like many of you, I played the heck out of it. Now that there have been a few game patches and people have tried out the beta, I wanted to ship a few questions over to our friend Curtis Schweitzer, who composed the game score. I was happy to hear that he was interested in talking with us about how things have gone since launch and what we can expect going forward. jdodson: The Starbound beta has shipped and the reaction seems to be quite good. Right now, Starbound is the number 3 played game on Steam and all those people are listening to your music. How are you processing all of that right now? Curtis Schweitzer: I'm just enjoying seeing... Read All After the Starbound beta hit, like many of you, I played the heck out of it. Now that there have been a few game patches and people have tried out the beta, I wanted to ship a few questions over to our friend Curtis Schweitzer, who composed the game score. I was happy to hear that he was interested in talking with us about how things have gone since launch and what we can expect going forward. Whiteboyslim: Is there one track in particular that you are especially proud of? Curtis Schweitzer: Of the new tracks, the Glitch racial theme is my favorite. It is really cinematic, and I was happy to see it get used for the first half of the game's trailer. Made me quite proud! jdodson: Tim Morrison covered one of your songs “Atlas” on Ukulele and posted it to YouTube. Any fan requests to someone covering one of your songs in any specific way? Mira on flugelhorn perhaps? Curtis Schweitzer: I'd like to hear some piano arrangements of the existing orchestral tracks. My primary interest is piano, so I'd love to see what the fans can come up with. I'm sure it will be amazing! jdodson: We last talked back in May, I wonder what has been happening in your world since we spoke last? Any new projects we should be looking forward to? Curtis Schweitzer: I'm working on another game that I can't talk about (yet), but we should be launching a Kickstarter soon! And of course, I'm working on the "Seventh Spectrum" films (www.seventhspectrum.com) too! jdodson: You are stranded on an alien planet. Strange and new things surround you! You can pick only 3 things to take from your previous life, what do you take? You are already outfitted with your trusty matter manipulator, wheat seeds and a small sword. Curtis Schweitzer: Well, I'm going to start with that grappling hook. Man, that's awesome. But I supposed I'd also take one of bartwe's instruments, and maybe a hunting bow so that I can get some alien steak for dinner. jdodson: The Starbound score is now available on Steam for purchase and contains a raft of game music, some of which you can’t hear in the game. Has there been any talk to add more music to Starbound and if so will the official Steam score be updated when this happens? Curtis Schweitzer: We don't have an "official" answer for this, but my inclination right now is to leave this soundtrack "as-is", and if we write more for the game, release it as a "Volume 2". At 5+ hours, I think the first set of music for Starbound is pretty complete. Whiteboyslim: When we interviewed you back in May you said at the time you had around 5 hours worth of music written for the game. How many hours worth of music did you end up writing? Curtis Schweitzer: Well, I lost a couple of cues because I was never really happy with them-- the Forest battle stuff always struck me as unbalanced, so I haven't put those on the soundtracks. (You can still hear them on my Soundcloud). The official soundtrack (including my stuff and Solatrus' stuff) is about 5 hours, 44 minutes. So we wrote almost another hour of new stuff, including new racial themes for the Apex, Florans, and some battle music. jdodson: I want to thank you for taking the time to get back to me Curtis, anything you want to say as you bask in all the Starbound beta launch glory? Curtis Schweitzer: Its been fun, and I'm looking forward to making new music in the future! I want to compose music as my primary living, and this is a big step toward getting there, so I'm excited what the future holds! Interview -w Seth Able Robinson Creator of LORD & Growtopia! If I were to create a list of my top video games of all time, Legend of the Red Dragon would be on the list. Legend of the Red Dragon is a DOS based BBS Door Game that dominated the scene back in the 90's. If you had a BBS and didn't run LORD, it wasn't a BBS worth spending time on. Legend of the Red Dragon was edgy, dark, fantastical and irreverent. Plus it was a hell of a lot of fun. Seth Able Robinson is the creator of Legend of the Red Dragon as well as other BBS classics such as Planets: The Exploration of Space & LORD 2. Not to have his best work end in the 90's, Seth has gone on to create Dink Smallwood, Dungeon Scroll, Funeral Quest, Tanked &... Read All If I were to create a list of my top video games of all time, Legend of the Red Dragon would be on the list. Legend of the Red Dragon is a DOS based BBS Door Game that dominated the scene back in the 90's. If you had a BBS and didn't run LORD, it wasn't a BBS worth spending time on. Legend of the Red Dragon was edgy, dark, fantastical and irreverent. Plus it was a hell of a lot of fun. Seth Able Robinson is the creator of Legend of the Red Dragon as well as other BBS classics such as Planets: The Exploration of Space & LORD 2. Not to have his best work end in the 90's, Seth has gone on to create Dink Smallwood, Dungeon Scroll, Funeral Quest, Tanked & Growtopia. Since I have been a huge fan of Seth since my early gaming days I am very excited he agreed to talk with me. I want to thank Seth for taking the time to do this and wish him well with whatever awesomery comes next! jdodson: Growtopia came out a little over a year now and has a pretty large following. As the game continues and more users join, how are things progressing? Experienced any pain points as the community has expanded and asked for new stuff? Seth Able Robinson: It's been an incredible ride, co-creator Mike Hommel and I have been working basically full-time on it since release. I think the biggest adjustment for me personally is the volume of emails we get from players. I've always put myself out there and had a "you got a question about the game I made? just email me! I ain't some big time company suit that will ignore it" attitude and it's really no longer possible to do that because we have over a million user accounts now. We get emails about everything from suicide threats if we don't give them free stuff to being told when a family pet dies. One person threatened to sue us because the game's addictive qualities were responsible for her chicken's death. We now have help answering emails and I feel like a jerk not responding to everybody personally like I used to, but it's just impossible. The community is great overall but we do end up banning 100+ creeps a day to keep it as safe and clean as we can. Freemium + multiplayer + full text chat and allowing players to broadcast to 8,000 other online players at will = an incredible challenge. We've developed a lot of tools to keep things under control. Growtopia has a real economy with player run stock markets that can be manipulated with rumors. You can collaboratively compose music, sneak up on someone sleeping in bed and do surgery on them, build a house with a 99 toilets and get 99 real people to help you flush them all at the same time. There is no other game out there like it and I have no idea how things will end. Seth Able Robinson: I've loved games more than anything since I first played Donkey Kong with my dad. Pitfall on the Atari 2600 blew me away. I started programming on a Commodore 16 (yeah, 16k of ram) mostly because I only had three games and got bored of them. If I was born today, I wonder if I would have been a programmer at all... or would I just be content to consume from the bottomless teat of today's gaming world. Thing is, after that initial push, once you've made a few games, it's quite intoxicating and you can't go back. What other hobby lets you create a living universe before lunch?! jdodson: Did you ever anticipate that Legend of the Red Dragon would turn out to be as big as it was? At what point did you realize LORD was becoming very popular? Seth Able Robinson: Not really. Truth is, I wrote the original version not intending to sell it at all so the seven copies or whatever I sold the first year were just gravy. After the PC port things really started to liven up financially and it dawned on me.. I don't have to be a cabinet maker with my dad or get a job at the plant... I can JUST MAKE GAMES AND DO WHAT I LOVE! It's a great thing to know what you want to do with absolute certainty. jdodson: What was the most memorable time you had building or playing one of you games? Seth Able Robinson: One memorable moment happened while playing a recently released version of LORD. The (uncensored) words "HEY IT WORKS YA MOTHERF***ER!!" appeared every time I wrote a letter to another player. I owed this "feature" to forgetting to remove some of my debug code. Yeah, got a few emails about that one. Oops. jdodson: Dink Smallwood is a classic game that came out in 1998, has a pretty large fan following and mod community including the GNU FreeDink project. You can get it on your Android, iPhone and everything else that matters. Since you have kept this classic alive for so many years will we see a new Dink game at some point in the future? Seth Able Robinson: Despite creating the design doc for a Dink 2 I now sort of doubt it will ever happen. It seems unlikely that Justin Martin (the original artist) or myself will ever be able to commit years to working on a sequel of a game that only received a lukewarm commercial reception in the first place. Because we stopped charging it was on a lot of magazine discs so there is a considerable nostalgia factor for many but honestly I think I might be better off with a completely new design. jdodson: I had aspirations to run a BBS but could never get my parents to spring for another phone line. That said, I tried running an after hours BBS with QuickBBS that didn’t quite work out but I did have a sweet ANSI intro I made with The Draw. I remember catching some flak from my friends that ran a reasonably popular local BBS for choosing QuickBBS instead of Wildcat. Did you have a preference as to which BBS Software you liked using and that was a bit easier to make games work with? Seth Able Robinson: Personally I liked Renegade. It was free and could do multi-node (I think I had four phone lines with it) with some creative use of Desqview, a dos based task-switching app. Once you started getting serious and wanted a 8+ node system then you had to upgrade to a system designed for that such as Worldgroup or later versions of Wildcat. The downside was they required custom ports of each door game (they couldn't effectively use the standard drop-file dos fossil driver .exe doors) and those could be quite spendy. jdodson: Love to hear your thoughts about another popular door game, Tradewars? Seth Able Robinson: Huge fan. It's where I stole the idea of having NPCs write random quips in the daily log. I would spend hours playing my 'turns' every day. In those days a single node system could give busy signals all day - it was very possible to miss your turns so you sometimes had to leave the auto-dialer on for hours to sneak in there. The stress of waiting! jdodson: What is your process for building a game from the initial spark to launch? Seth Able Robinson: Think it, see it, do it. Think it: I write a paragraph that describes the game and some bullet points explaining how it works. If it looks stupid or boring on paper when you show it to someone else, it probably is. See it: I try to envision the first few minutes of playing it in your mind's eye, where you click, what happens, what it sounds like. Do it: Develop the mental picture into a real thing. This goes so much faster when you know exactly what you want at the end. When I reach the point where I've programmed everything I'd previously seen mentally, things slow down and I have to start making lots of little decisions about where to take what I've got. From there, I start the cycle again for each iteration, getting close and closer to the finished product. Tons of ideas out there, but I'm rather annoyed that when I google my original ideas I find out someone already stole them and created them - via some sort of time travel machine, obviously. jdodson: Recently you have started working with Unity 3D. This is a departure from your Proton SDK. Many indie developers as well as large companies such as Blizzard are using Unity 3D. I am curious what the reason for using Unity has been and if there is a possibility one of your future games will use it? Seth Able Robinson: I think Unity has finally reached the point where you can write an entire game and not hit some horrible stupid limitation that has you throwing up your arms and switching back to C++ native stuff in frustration. The downer is if Unity doesn't support a platform, you're just screwed. With my Proton SDK, you could just add your own target as the full source is there. I'm a little worried about the power this gives Unity Technologies as more games are developed using it (I think we've already hit a point where new phone platforms are dead in the water without Unity support) - while simultaneously feeling rapturous that I won't have to worry about manually supporting the gotchas of eight platforms and hundreds of chipsets anymore. I want to work higher level, not lower, despite my work with Proton SDK. jdodson: When the news that JJ Abrams would direct Star Wars Episode VII hit the internets, many nerds rejoiced including me. After seeing Star Trek Into Darkness in the theater and then watching it again, I have reservations. I love nearly all of JJ’s past work, but I am wondering if Star Wars can ever be as good as the original trilogy? WHAT IF JJ CROSSES EWOKS AND GUNGANS SETH, I DON’T KNOW IF I COULD HANDLE THAT KIND OF DISAPPOINTMENT! Then again, the Gunga-wok might be the only way to finally defeat the Empire once and for all. I am not sure this is a question. Seth Able Robinson: I think JJ Abrams could probably cough up something better than the prequels so at least things can't get worse. Never really seriously considered the details of ewok procreation but... ichiwawa. now I can't stop. Adym: When I was in high school, and playing LORD, I met a girl my age. We flirted in the tavern, then exchanged phone calls, and eventually had a date. Have you heard of many relationships started directly because of your games? Seth Able Robinson: Yes! In fact, it's resulted in a few real-life marriages according to emails I've received. I can also say it directly led to a few dates for this old bard back in the day as well, as fantastical and lecherous as that sounds! Life is full of many choices, but we all must push our way through the mob. What do you do? Seth Able Robinson: Well, I tried B, no answer to my email. Will probably do W, C if the planets align, G is a real possibility if I don't do S on the bad kids, and hopefully I won't Q for a good long while. jdodson: Thanks for taking the time to answer my questions Seth, really appreciate it. Anything you want to say before we wrap things up? Seth Able Robinson: I had fun answering these questions, thanks! This might be the best interview you've done! Mostly because Seth seems like a really cool, down to earth, funny, brilliant guy. I think I might have a slight crush on him. I loved LORD back in the day, and need to go try Growtopia it sounds like! Looking further to see more interviews with Seth! We do interviews with all manner of folk in gaming. That said, Seth was exceptionally notable. Maybe in a bit I will do a follow up interview. Hey Abi, Seth won't see your comments on the thread. Your have to contact him through the normal Growtopia channels. 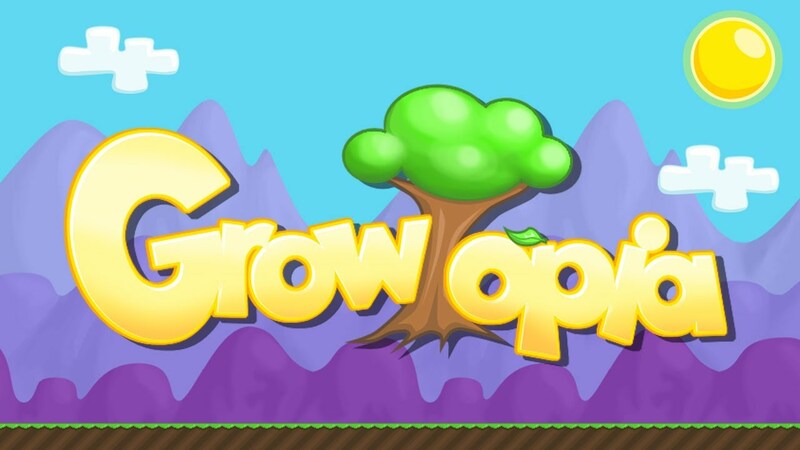 Check the Growtopia website? I am not really sure. One of the best parts of the recent Terraria 1.2 patch was the addition of more awesome music. Having a larger canvas of sound to accompany you while you are mining, building and slaying bosses is important. From the first time I heard the music in Terraria I was in love. Composer Scott Lloyd Shelly captures the wonder that you experience playing Terraria very well and I have wanted to talk to him about the game for some time. Very excited to bring you our interview with the amazing Scott Lloyd Shelly. Don't hold the applause. jdodson: The music in Terraria is incredibly iconic. From the first time I heard “Overworld Day” to hearing the new tracks from the 1.2 update,... Read All One of the best parts of the recent Terraria 1.2 patch was the addition of more awesome music. Having a larger canvas of sound to accompany you while you are mining, building and slaying bosses is important. From the first time I heard the music in Terraria I was in love. Composer Scott Lloyd Shelly captures the wonder that you experience playing Terraria very well and I have wanted to talk to him about the game for some time. jdodson: The music in Terraria is incredibly iconic. From the first time I heard “Overworld Day” to hearing the new tracks from the 1.2 update, the world of Terraria seems boundless and magical. When you were first considering scoring the game, what kinds of ideas or concepts did you want to express with the music? Scott Lloyd Shelly: Overworld Day was the very first piece of music I wrote for the game. Andrew sent me a few pictures and a very early build of the game (I was slain - a lot...) My first two thoughts were; a) this is a 2D game, with a retroish 80's style pixelated look (which was/is loveable) - I need to pay musical homage to that 8 bit era and b) potentially huge (and magical) worlds are getting created, so maybe some big orchestral sounds can be included as well. I was pretty much trying to create a hybrid of those two elements that would hopefully become unique to the game. WhiteboySlim: How closely did you work with Andrew Spinks on the soundtrack? Was there frequent feedback or were you given pretty free reign to craft the music yourself? Scott Lloyd Shelly: Andrew Spinks has been my favorite game developer to work with - after I submitted the first track, he pretty much turned me loose - that doesn't happen very often with soundtracks in my experience. jdodson: Interested what your thoughts are on Terraria and the very large and passionate community that surrounds the game? Scott Lloyd Shelly: I'm not at all surprised that so many people have come to love playing Terraria, and I try and watch as many playthroughs posted on YouTube as I can to try and keep up. Some of the soundtrack remixes are pretty cool too. Travis: The music for each area and event really sets the mood well. Two of the tracks that stand out to me are both of the Hallow tracks, overworld and underground. What real world inspiration did you use when composing for this imaginary world? Scott Lloyd Shelly: Andrew would send me graphics for each level and biome, and that was a big help for me, and probably the main real world inspiration. For Hallow, I think it was the mention of Unicorns and Rainbows that got me started musically on that one; Hallow/Underground was more of a result of me playing in my musical sandbox, mainly Logic Pro. WhiteboySlim: How did you originally get involved in the video game industry? Scott Lloyd Shelly: Good question. Way back in 1993, I was studying orchestration privately, and I started to get interested in what was happening in San Francisco and Silicon Valley; buzzwords like "multimedia" and "virtual reality" were flying around, and I wanted to get involved creatively. I started to send demos and resumes to some of the game companies (after phoning first...) and a company called Accolade asked if I could come up from LA for a meeting. I ended up doing the music for an unreleased title for the Sega Genesis and SNES console platforms for them, and really enjoyed the experience, and moved to San Francisco for a few years after that to be closer the the action. jdodson: When you were first composing music for Terraria did you have a version of the game you could play or did you work off ideas and concepts only? What did you think of things after you played the game with your music added to it? I also hope that Andrew Spinks is happy with the soundtrack and that it works for him - Terraria is his vision. WhiteboySlim: The Empire has attacked your ship (which was totally just on a diplomatic mission). You only have time to grab 2 or 3 things before running to the escape pods. What do you grab? jdodson: Track 13 on the Terraria Soundtrack Volume 2 ends with “Lunar Boss” yet to date no such boss exists in the game? Andrew Spinks has noted that he plans on adding an end game boss and I am curious if you know some details about it you don’t mind sharing? Scott Lloyd Shelly: Sorry, I haven't heard anything about that yet. He does ask for additional music tracks occasionally, so he could be planning something. Travis: What’s your favorite video game soundtrack that you *didn’t* work on? Scott Lloyd Shelly: Wow, that's hard. Skyrim, for sure; (Jeremy Soule); Super Meat Boy; Where Is My Heart (Alessandro Coronas); Botanicula; Spore; and Dungeon Seige 2 would be a few. WhiteboySlim: Andrew Spinks has already stated he plans on making Terraria 2. Do you think you’ll be back for the sequel? Scott Lloyd Shelly: That's up to Andrew. I'd be absolutely up for it. jdodson: What have you worked on over your career that you are especially proud of? Scott Lloyd Shelly: Putt-Putt Joins The Circus for Humongous Entertainment, Reader Rabbit 1st Grade (classic version) and The Crocodile Hunter TV shows. Travis: I’ve heard these songs countless times, and if it was any other music I would have gotten really sick of it by now. When you were writing the music for Terraria, were you considering the fact that people would be hearing this music over and over and write it with that in mind? How do you keep it catchy after the thousandth time? Scott Lloyd Shelly: Thanks, Travis - I thought about that a lot. Part of it is not letting the music stay on one section for too long. I figure if I'm getting bored listening to a loop a few times, someone who's playing the game for hours will for sure. I also try to keep the arrangements fairly sparse (except for the boss music) and hopefully that helps too. say before we finish up? Scott Lloyd Shelly: Thanks to you guys for asking questions! We music people are pretty much behind the scenes most of the time, and it's really nice to know somebody's listening. Thanks again, and please keep me posted. Great interview! Perhaps on his next "diplomatic mission" he won't take along his wife and daughter. Legend of Dungeon tops the list of awesome games i've played this year. The game brings a fresh face to the rouge-like genre while keeping it true to its most basic dungeon exploration elements. One part of the mix that makes the game work so well is its score. I was able to contact David Dirig, the composer for The Legend of Dungeon score and he agreed to talk with me about it. jdodson: When you started the process of creating the music for Legend of Dungeon, what was the sound and tone you were going for? David Dirig: -When I started the project I wanted to maintain a very strict ancient/traditional sound. I had a very limited palette of instruments and sounds that I... Read All Legend of Dungeon tops the list of awesome games i've played this year. The game brings a fresh face to the rouge-like genre while keeping it true to its most basic dungeon exploration elements. One part of the mix that makes the game work so well is its score. I was able to contact David Dirig, the composer for The Legend of Dungeon score and he agreed to talk with me about it. David Dirig: -When I started the project I wanted to maintain a very strict ancient/traditional sound. I had a very limited palette of instruments and sounds that I thought would fit the mood and spaces in the game. However, as the project progressed, I found that I needed to include more modern elements in the music. The introduction of various electronic elements allowed the music the opportunity to hold the interest of the listener while still maintaining my original goals. Plus it made it a lot more interesting for me as the composer. jdodson: As I play Legend of Dungeon the score conveys a sense of dread and somber darkness. Was this something you planned or did it just come out naturally? David Dirig: When I started the soundtrack I knew that I wanted to stay on the darker side when it came to the feel and atmosphere created and maintained by the music. I wanted the feel of the Dungeon to be ever present throughout the OST. When the music started I wanted it to almost give the listener a sense of spacial recognition. Incidentally, I wrote the entire soundtrack in a completely dark space lit only by my monitor. jdodson: “Zombie” is a fantastic song. I really like the way it brings out the guitar and the strong drum rim hit with the synth. At what point in the score process for Legend of Dungeon did Zombie come and how long did it take to complete it? David Dirig: Thank you. Zombie was actually the first song that I wrote and I used it as a measuring device for the rest of the soundtrack. It conveyed everything I wanted to say with the OST. As for the time, When I’m composing, I tend to get large pieces of music almost all at once. The first rough version of Zombie was done in around 20 minutes. I hope this doesn’t cheapen it’s value, but that’s just how the process works for me sometimes. Some of the other songs took an easy ten hours to rough out. David Dirig: I have been working to complete a few projects, one of which is compiling an album of some of my newest compositions for release in the next few months. jdodson: The landscape of composers is pretty broad, for you who stands out to you as someone you admire? David Dirig: -I love listening to Zimmer. I particularly enjoy the Dark Knight score. I was obsessed with it while writing the LOD soundtrack. I also have to mention Zoe Keating. I came upon her work a few months ago and her compositions are both beautiful and mesmerizing. jdodson: Did you have access to the game when you were composing it in some form to help the process? David Dirig: Absolutely. I had access to nearly every version during it’s creation. It was incredibly helpful in adjusting the mood and feel of the music as well as finding what wasn’t working. jdodson: Is there anything you haven’t done musically that you want to try or get into? David Dirig: Scoring a film would be amazing. Most of the music I write has a visual inspiration at it’s inception and I would love the opportunity to work on a project where it’s possible to help someone else describe an Image or a particular set of emotions sonically. jdodson: How involved were Alix and Calvin in how you went about writing the music for Legend of Dungeon? David Dirig: I typically spoke with them nearly every week about the games progression and regularly presented them with ideas I had musically. They were wonderful to work with and allowed me every opportunity to be creative and just do what I do. jdodson: I wonder what the typical setup you use to compose is? Do you use any particular gear, software or configuration? David Dirig: I used garageband for the entire project. I wanted to see what I could do with it. Gear wise, iMac, Audio-Technica ATH-m50 Headphones, Jackson 7-string and a takamine tc28c Classical Guitar running through a Boss GT-5 processor and an M-audio interface, A Kawai ES-1 electric piano as a MIDI controller. Pretty plain and simple. jdodson: Zombie starts off the Legend of Dungeon score and Succubus closes it. How did you compose these songs in relation to each other if at all? David Dirig: The songs in the soundtrack are presented in the order that they were written. When writing Zombie, I wanted it to convey a sense of nervous anticipation and mystery. For Succubus I was going for after battle swagger. One opens, one closes. In addition, all of the songs in the soundtrack were written in the same key and tempo. The music heard during actual gameplay is randomly created from elements of each of the songs in the OST. I wanted the in game music to never get boring or predictable. I broke the 18 songs in the soundtrack down into the 244 tracks from which they are made. I then compressed the tracks into 2:08 loops. The song elements fit seamlessly due to their afore mentioned composition. The individual loops are randomly assigned to creatures, places and things in the levels and proximity controlled to fade in and out of the game audio mix. When you as the player hit the reset button the game music effectively changes completely while maintaining the same feel and hopefully staying interesting. jdodson: When you look at Legend of Dungeon now, is there anything you may have changed in any of the music you created for it? David Dirig: There is a single point in Minotaur when one of the tracks is too low in the mix. It bothers me every time I hear it, but no one else has complained. When composing, you can always find things that can be changed. There comes a point in the creative process when you have to recognize that the work is done and start the next creative endeavor. I reached that point and feel that I did my best. jdodson: It’s awesome you were able to do this Dave, anything you want to say before we finish up? David Dirig: This has been an amazing project. Thanks to all the people playing Legend of Dungeon. A few weeks ago Escape Goat came to Steam and like many people I decided to give it a go. Escape Goat is a pure puzzle platformer and offers really fun mechanics that will keep you playing "just one more level." The Steam version supports Mac, Linux and Windows out of the box and I found the controller support to be superb. After getting hooked in by Escape Goat's retro charms I wanted to ask its creator Ian Stocker about the game and if there will be more Goat adventures coming up. jdodson: Escape Goat was recently released and was just Greenlit on Steam. Now that people have played it I am curious what your reaction to the launch and peoples responses have been? Ian... Read All A few weeks ago Escape Goat came to Steam and like many people I decided to give it a go. Escape Goat is a pure puzzle platformer and offers really fun mechanics that will keep you playing "just one more level." The Steam version supports Mac, Linux and Windows out of the box and I found the controller support to be superb. After getting hooked in by Escape Goat's retro charms I wanted to ask its creator Ian Stocker about the game and if there will be more Goat adventures coming up. Ian Stocker: The Steam launch and GoG launch both went great, they were profitable and introduced the game to thousands of new players. It was great to see the Steam forums light up with comments and feedback on the game. jdodson: Escape Goat has a really awesome premise. I am curious how the concept was born and when you decided to start working on it? Ian Stocker: Escape Goat started as a new project, with no existing code, on January 1, 2011. The working title was Bastille, and it was going to be a single-screen puzzle game that would take place in a prison. The goat theme was added later, when some friends and I found a Reddit thread on the best misused English idioms. Escape Goat was the top voted answer, and that's when I decided to adopt it as the title and theme of the game. That was probably about three months into development. jdodson: Is the Goat a witch and does the her purple color factor into her magical-ness in some way? jdodson: What games have you been playing recently? Ian Stocker: I haven't played a lot of new games, but I do dip in on Dungeon Crawl Stone Soup, a classic roguelike you can play on the web. It can devour whole hours of time without you realizing it, though, so beware! jdodson: Escape Goat is a really tight platformer with some unique concepts. How did all the different aspects of the platforming come together? Did you start with a grand vision or just put in elements and work with them until they worked? Ian Stocker: It was built up piece by piece, with only some vague concepts of what I wanted to see in the game. I knew I wanted it to show the whole room at once, with no scrolling, like classic puzzle games (Adventures of Lolo, Solomon's Key). And I wanted the controls to be similar to Mega Man, Alucard from Symphony of the Night, and Robot Unicorn Attack. 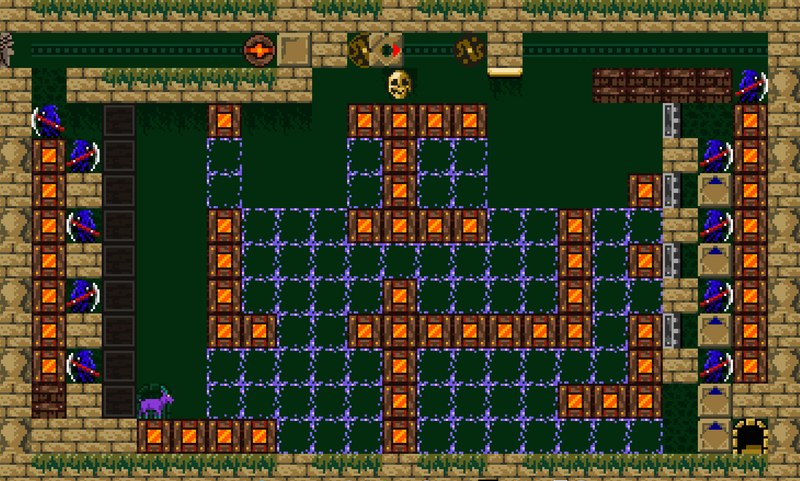 The concept of machinery and mutable environments was discovered early on when I put stacking blocks and laterally moving gearblocks in the game. As soon as I saw them working, I knew this had to be the hook for the game. It took six months to get it bug-free though, since I had never done any physics programming before, and this game needed a unique physics implementation. jdodson: Escape Goat is out, curious what’s next for you? Escape Goat 2 or some game updates? Ian Stocker: Yes, I'm finally able to resume work on Escape Goat 2 now that EG1 has been handled on Steam. I still need to push updates to the DRM-free marketplaces, and there will inevitably be a few more support requests, but now I am able to spend a significant amount of time finishing up EG2. jdodson: I want to thank you for taking the time to answer my questions. Before we wrap things up, is there anything you’d like to leave us with? Back in July, Chroma Squad was successfully Kickstarted. This made me happy as Behold Studios, the company behind the magic, is setting out to do something pretty unique. Chroma Squad is a tactical turn-based game where you manage your set of heroes as well as TV studio. The concept is really quite innovative and I have been wanting to talk to the developers about it. As luck would have it, they had some time to talk with me and I want to thank them for doing the interview and wish them well in finishing the game! jdodson: The game was successfully Kickstarted last month and was recently Greenlit on Steam, which is pretty awesome. How has development on the game been... Read All Back in July, Chroma Squad was successfully Kickstarted. This made me happy as Behold Studios, the company behind the magic, is setting out to do something pretty unique. Chroma Squad is a tactical turn-based game where you manage your set of heroes as well as TV studio. The concept is really quite innovative and I have been wanting to talk to the developers about it. As luck would have it, they had some time to talk with me and I want to thank them for doing the interview and wish them well in finishing the game! jdodson: The game was successfully Kickstarted last month and was recently Greenlit on Steam, which is pretty awesome. How has development on the game been going? On track for the Kickstarter backer beta in October? Gui: Well thanks, we were reeeeeally happy and excited with our kickstarter campaign and being greenlit on steam! I believe taking 20 days to answer your interview confirms my point that we are hard working on the game haha! We are making our final adjustments to submit Chroma Squad to IGF so yeah, everything sounds like we'll have a beta late October. jdodson: Chroma Squad allows you to play though episodes of your show as a way to progress through the game. Curious how many episodes will ship with the core game? Will the game feature a mode to keep going with your show indefinitely? Gui: A good amount of episodes are definitely one of the great features in Chroma Squad, I can't really say how many will be but there will be a good amount of them, all of them unique. We are planning a really nice and funny way to make the game cycle "infinite", some sort of reboot on your series or who knows? I can't really tell you, otherwise it'll be spoilers. jdodson: Behold Studios was founded back in 2009 and you went on to make The Grave Digger, Save My Telly and The Knights of Pen and Paper and a few others. How do you look back at the start of the studio and launching your first game to Knights of Pen and Paper and then Chroma Squad? Gui: We feel that we learned a lot after Knights of Pen and Paper development and we feel that we can make even a better game now with Chroma Squad. We are working our best to make it even better than Knights of Pen and Paper too. jdodson: One of the Kickstarter Stretch Goals was for the Episode Editor and it wasn’t met, but it was very close. I am curious if you have plans to drop the episode editor and open up the Steam Workshop at some point after launch? Gui: Yes we do have future plans but we first need to ship Chroma Squad haha We didn't drop the idea because it was too good to let it aside and the community loved it so much that we can't really say 'no' since that same community made the development of Chroma Squad available. So maybe after launch? Yeah, we will totally think of that. jdodson: Rita Repulsa and Lord Zed are iconic Power Ranger arch enemies. Could you give us a preview of the villains we can expect to see in Chroma Squad? Gui: We want our game to remind us of our childhood and how much fun we had while watching these series (not just power rangers). The arch enemies were evil enough but some of them had their comedy. So we want to make a satire of that. I can't really say who it will be our arch enemy but all I may say is that it's inspired by a real world character. jdodson: How will chroma key, microphones and camera upgrades affect the in game battles? Gui: As long as you upgrade or have them, they will provide extra buffs to your party. You will get more audience points for using props beucase it delights your telespectators. So you will have to worry about how your audience is doing instead of just finishing enemies off in a easy way and these props will help you to do it. jdodson: What suggestions do you have for people wanting to make games? Is there any aspect of making games you would recommend people get into that doesn’t have many people doing it? Gui: This is something I say to everyone, 'the excuse/obstacle is in you', we live in a world that too many people are connected via the internet and too much information is shared. I remember when I was a kid, if I wanted information about something I had to go to the big books or a library and hope to find something related, today you just need to write what you want to find and click on 'search'. So if you don't know how to do it, search for it, if you don't have a place to do it, go to a public cafe, if you don't have a salary, well... get another job that may pay for your bills and do it in your free time. And if I say this is because we've been through all of it and we know that as long as people really want it, people actually can do it. jdodson: What’s the tech you are using for Chroma Squad to get it ported to PC, Mac, Linux, mobile and consoles? Gui: We are using the same engine of all our previous games, Unity3D. jdodson: The story in the Chroma Squad Comic book is of Stunt Men working for the “BIG STUDIO” and decide to strike out and make their own Indie Show. I am curious if the story of the game mirrors Behold Studios experience in the game industry somewhat? Gui: Haha, I actually never thought about the story being mirrored but somehow I might say that it looks like that for a few of us. It's not like we worked in a previous game company before but some of us had boring/annoying jobs or had to work on terrible time-prize freelances, and etc. So yes, for sure! jdodson: You mentioned you want to take Chroma Squad to consoles, but it will be a matter of how easy it is to work with manufacturers. Have you talked to any of the consoles about porting the game and have an idea which versions may be a priority? With that, since Chroma Squad is coming to Android devices any thought to an Ouya port? Gui: All we actually want is to spread our game the furthest we can. First we are heading for the pc (mac/win/linux) versions and then other platforms. We've been trying to reach the big consoles and we really hope to port Chroma Squad like we want. So yeah, we know that it's not simple like "works on android? well then a version of ouya is coming!" because we need to make sure the controller experience should be good but as long as we are heading for consoles, it should just take some time before an Ouya port. jdodson: Will we see any updates after the official game launch adding new episodes and game options as DLC or expansion? Gui: Certainly! As long as the community wants it, we will probably do it. Knights of Pen and Paper had almost an year full of patches with quests, items, bugs, features, requests, etc, and we want to do the same with Chroma Squad. jdodson: For you, what’s the coolest experience you have had playing Chroma Squad so far? Gui: I'm in deep love with the episode battles. jdodson: Thank you for answering my questions, I can’t wait to play the game when it drops later this year. Is there anything you want to say before we finish up? Gui: We love to play our own games after development so I keep asking my teammates if the game is ready because I want to play too. hahah Keep an eye on our facebook page, any announcements (which are not "backers only") will be made there and soon enough we will be all playing it! Thanks a lot for the interview, I had a good time answering the questions. The game play looks very similar to Card Hunter... so I will be hooked. Death Road to Canada was one of those games I was very impressed with at PAX 2013. It has 21 days to for its Kickstarter and it is doing quite well. I want to give the game more exposure on the site because this game needs to be made. I want to thank Kepa Auwae and Rocketcat Games for doing the interview and I wish them to a speedy game launch and Kickstarter funding! jdodson: For me, Death Road To Canada was one of the most compelling games at PAX. How did your experience at PAX 2013 go and how do you think people responded to the game? Did Tarn and Zach bring the star-power the booth needed? Kepa Auwae: Thanks, glad you liked it! PAX 2013 did really well. Got to meet a... Read All Death Road to Canada was one of those games I was very impressed with at PAX 2013. It has 21 days to for its Kickstarter and it is doing quite well. I want to give the game more exposure on the site because this game needs to be made. Kepa Auwae: Thanks, glad you liked it! PAX 2013 did really well. Got to meet a lot of people and other developers, and people seemed to respond well to the game due to the promises of teaching dogs how to drive cars. Tarn and Zach were a huge help, especially since my voice gave out halfway through. jdodson: Where did the inspiration for Death Road to Canada come from? Kepa Auwae: Initially it was going to be similar to Sarah Northway's "Rebuild", so that was the initial spark. But then we decided to make it more of a road trip, like Oregon trail but with way more focus on the Choose Your Own Adventure stuff and with new action-adventure city exploration. Wasteland Kings was also an inspiration for the animations, and then there's stuff like River City Ransom and Walking Dead and older zombie movies where you have the group conflicts. jdodson: Rocketcat Games is made up of 3 guys that all live in different states. How did you guys meet and at what point did you decide you needed to start making games? Kepa Auwae: We met through an old MMO called Asheron's Call. 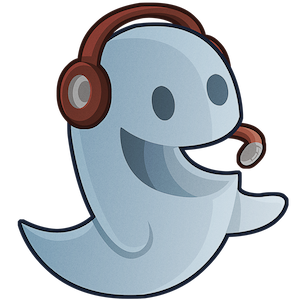 Long after we stopped playing that game, we still hung out in a chat channel we made for it. I just kind of arbitrarily decided to make games one night, probably due to working swing shifts. I convinced the others and we just went for it. Some time later I learned of Paul Pridham through his work, and we made Punch Quest together. jdodson: Death Road to Canada boasts that some sections will feature 200 Zombies on screen all trying for your brains. I am curious if the game will require you to kill them before you progress or if avoiding them can be a viable strategy as well? Kepa Auwae: Avoidance is usually a better strategy than killing them. Killing them can waste time and make noise, attracting more zombies. You really want to dash through the city, fighting when you must, as you grab whatever loot you can. When you get to 200 zombies onscreen you're probably not going to survive, so it's best to get out before that happens. jdodson: In the Kickstarter video you mention you guys wanted to add more in game content. I am curious what you have planned here? Kepa Auwae: We want lots of different Choose Your Own Adventure events. We also want to do more survivor personality types, more Unique Survivors, and some rare locations. We'd also like to do rare easter eggs you can find in the cities while exploring. Mostly we want to make it so you can play the game many times over, and still find weird little surprises. jdodson: One feature of Death Road to Canada is the ability to randomly acquire characters for your party. Wondering if these characters will have set abilities or if they will be randomized somewhat? Also, how will the Mounty, Panda Bear or Elvis play compared to each other? Kepa Auwae: Many party members are randomized. Random faces, bodies, accessories, names, traits, and personalities mixed and matched to make a person. Then there are rarer Unique Survivors, that have set attributes and names and apperances. These include Mounty, Panda Bear, and Elvis. The Uniques have their own CYOA events and story events, while normal survivors have their events determined by their personality. jdodson: How did the Zombie-pocalypse come about in the story for Death Road To Canada? Kepa Auwae: The old classic explanation: no one knows. All the undead simply rose up from the ground, in massive numbers. jdodson: Any chance Santa Claus may show up as an in game event and fly you to the North Pole? I imagine part of the charm could be a mini game where you make toys for the worlds remaining children. Since the world has been savaged by Zombies I don’t imagine you would have to make many toys. Kepa Auwae: No minigames, making toys for children would be handled through a complex sequence of decision making through Choose Your Own Adventure events. jdodson: For you guys, what games are you playing right now? Anything you have enjoyed recently that you recommend people check out? Kepa Auwae: I haven't really played anything recently but Dark Souls. Check out Dark Souls if you haven't already. Oh and 868-Hack on iOS came out recently, that's a really good strategy game. jdodson: What is the worst Zombie movie you’ve seen? I don’t mean campy awesome, I mean terrible. Kepa Auwae: There was a later Romero movie where the zombies were slaves and the lead zombie was wearing a mechanic jumpsuit and leading a zombie gang and they were all slowly learning how to use weapons. That was pretty bad. jdodson: Death Road to Canada looks like a game that would really work well with controllers, any thought to adding support for them in the PC version? Kepa Auwae: Yeah, we plan to have controller support. Xbox controller support seems really common now. jdodson: I have one suggestion for a random character for Death Road To Canada. Canadian born William Shatner. It might make sense to have him in a faux Star Fleet uniform so people could recognize him. Kepa Auwae: I don't know if we could afford William Shatner. We'd probably need a bigger Kickstarter. jdodson: When do you anticipate we might see the Kickstarter Beta for Death Road and the final game launch? Kepa Auwae: We're shooting for the end of Fall for the final game launch, and a late beta of about a month or so before launch. Maybe a little longer beta if there are problems. The way around paying for William Shatner is to call him Shilliam Watner. TOTALLY not based on William Shatner. That's a great idea, i'll forward it to Kepa.